It's been a big week for Telstra CEO Sol Trujillo. First there was the scrapping of the fibre-to-the-node broadband strategy, then revelations of Mr Trujillo's severance package from US West a few years back, and then Telstra's financial announcements... and the news that the CEO had met his performance targets and earned his bonus. There were lots of calls for Sol to be sacked and oblique comments from John Howard about fat executive salaries. By contrast, international reporting on Telstra this week invariably described Mr Trujillo as "an American", referring to his background and experience managing other telcos like Orange in France as well as US West. The facts: Mr Trujillo has never been a Mexican citizen. He was born in Cheyenne, Wyoming, to Mexican-American parents, educated in the US, gained an MBA from the University of Wyoming in 1974, and worked in the United States for the next 25 years. His Hispanic heritage is celebrated in the US - he was the first US-born Hispanic to become CEO of a Fortune 200 company. In my Brand Management classes, I'd classify it as "leveraging a country-of-origin brand association". While we may try to assess Sol Trujillo's performance on purely rational grounds, by using "Mexican" clichés - not 21st-century Mexico, mind you, but those associated with the Mexicans of Hollywood Westerns - journalists tap into images and associations in our minds that have been reinforced over decades. 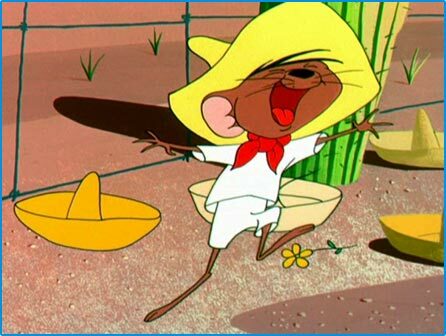 First come the images: think sombreros, ponchos, siestas under a cactus, Speedy Gonzales, "Hey Cisco", etc. And hard on the heels of those images come the more judgmental associations: sleepy or lazy, thieving bandido, or just plum loco. Of course, outside my brand management class, and applied to an individual, I'd call it racial stereotyping. Imagine the outrage if (for example) Jac Nasser, as a Lebanese-born Australian, had been subjected to the same sort of country-of-origin clichés when running Ford here or in the US. If they can’t respect the facts or show some restraint, then perhaps it’s time some sections of the media laid off the tequila. UPDATE 25 AUGUST: A piece based on this one appeared today in Crikey (subscription required), where it attracted a brief response from Eric Ellis, Walkley Award-winning SE Asian correspondent for Fortune and The Bulletin. In a piece written last April for Fortune, Eric noted - for an international readership - that Trujillo "has become the foreigner Australians most delight in mocking".